Wisconsin Historical Markers: The "Charlie Grill"
This grill was used to cook the "World's Largest Hamburger" in 2001. 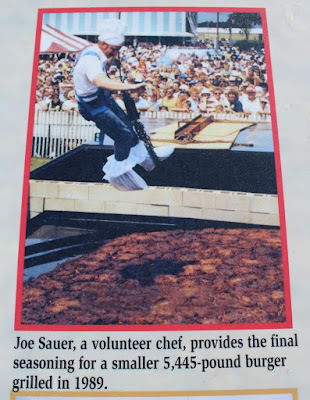 Twelve "chefs" working under the direction of Jim Campbell and Steve Krabbe prepared the 8,266-pound creation. The 22' x 22' grill easily accommodated the 20 x 20 foot burger. 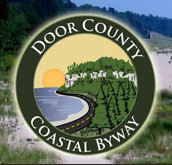 The "Charlie Grill" and marker are part of the Seymour Community Museum complex, located on westbound Depot Street, between Mill Street (to the east) and South Main Street / Wisconsin Highway 55 (to the west), at or near 133 Depot Street, Seymour, Wisconsin 54165. 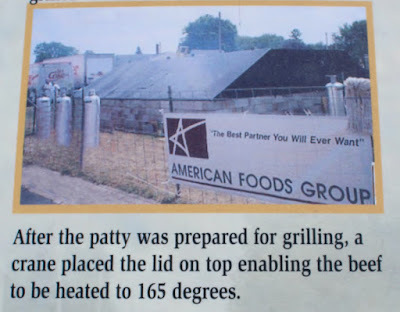 A series of propane powered heating elements cooked the huge burger to perfection. The beef, provided by American Foods Group, Inc., was sliced, put in buns, and served to the Burger Fest crows. Burger Fest, a celebration of the origin of the hamburger in Seymour, is held early in August. It's a family festival with a huge parade, music, family activities, and plenty of tasty hamburgers. At left, Jason Rottier, [sic] demonstrates world record form in the ketchup slide with a 200' effort. to be heated to 165 degrees. Statue of Charlie (above and below), directly across the road from the "Charlie Grill". The "Charlie Grill" is located in Seymour, Wisconsin.